The Harles’ updated laundry room is more functional and attractive. Chris and Barclay Harle’s 45-square-foot laundry room was used inefficiently and felt cramped and cluttered. 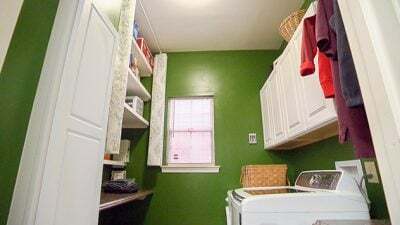 So, we had our work cut out for us as we revamped their laundry room to be more attractive and functional to handle the laundry of a family of four. Check out the Laundry Update episode article for details.